MacKenzie Commercial Real Estate Services, LLC is proud to announce that Vice President Trish Farrell has been selected as an Influential Marylander by The Daily Record. The Influential Marylander award was launched by the publication in 2007 to recognize individuals for their significant contributions to their respective fields and for their leadership in Maryland in the following areas: civic leadership, communications, education, finance, freestyle, general business, health care, law, philanthropy, real estate, and technology. A member of the MacKenzie team for more than 25 years, Trish specializes in the sale and leasing of commercial real estate, focusing primarily in Anne Arundel County and the surrounding Baltimore Washington Corridor. Representing both tenants and landlords on local, regional, and national levels, she has been involved in transactions and marketing efforts totaling more than four million square feet of office, retail, warehouse/flex, and mixed-use space. 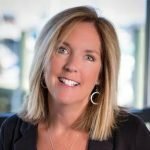 Trish is an active member of numerous professional organizations and currently holds board positions with The Maryland Tech Council, Launch Annapolis, The Greater Annapolis Y, and the American Red Cross. She is also a member of the Leadership Anne Arundel Class of 2017. In addition to professional undertakings, Trish is a resident of Annapolis and is actively engaged in multiple efforts, working to build a stronger community. Trish Farrell can be reached directly at 410-974-9003 or tfarrell@mackenziecommercial.com. For more information on the full service offerings of MacKenzie, please visit www.mackenziecommercial.com.